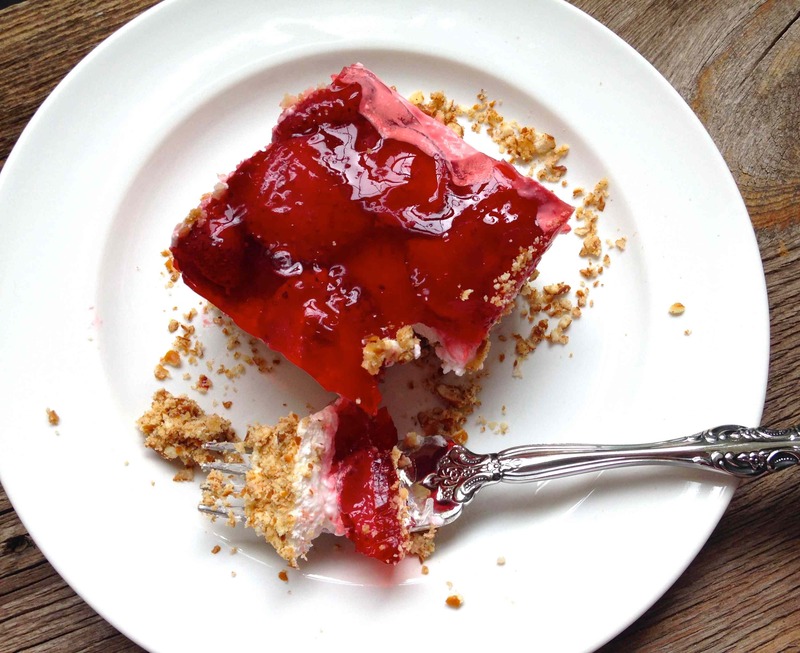 Strawberry Pretzel Dessert is one of my all-time favorites! 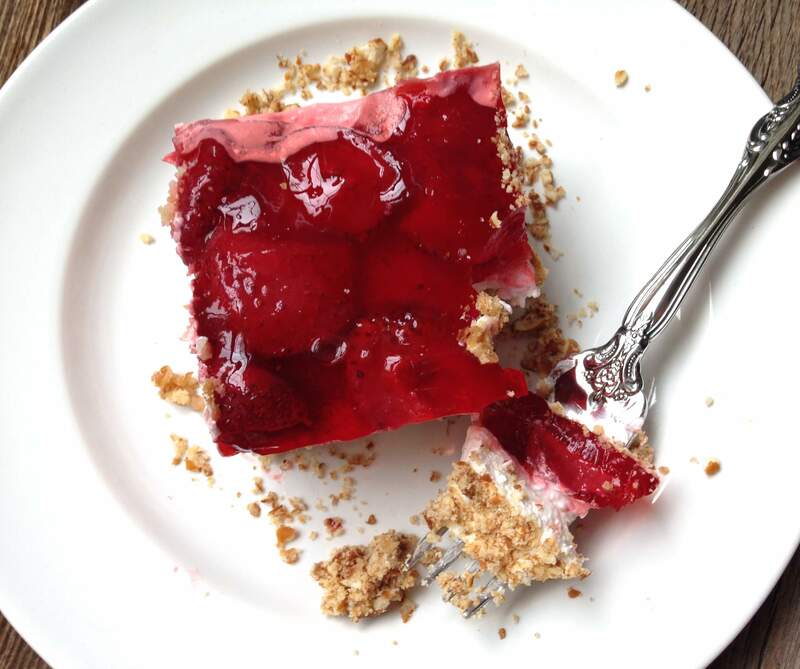 If you want to trick yourself into thinking you’re eating something healthy, then you can also call this Strawberry Pretzel “Salad”. My mom’s birthday was this Thursday, and since her birthday is in June, she usually requests a lighter, non-chocolatey dessert. 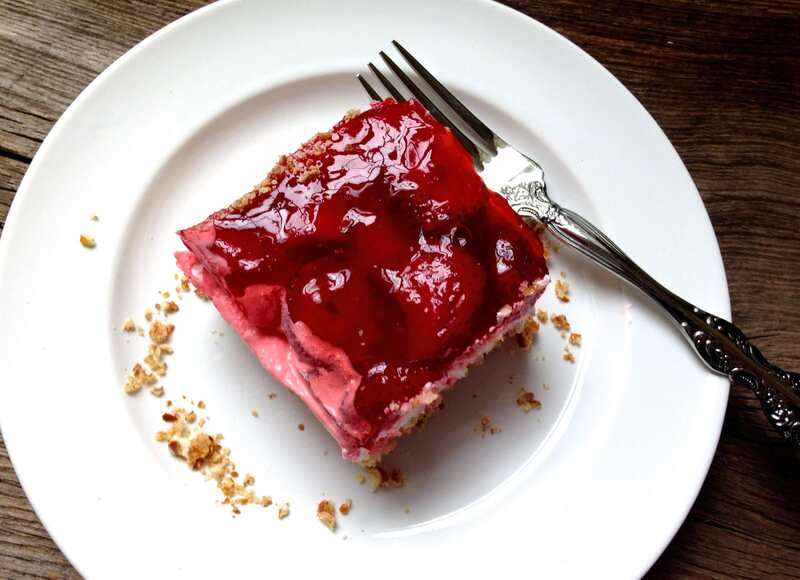 For previous occasions we’ve made her strawberry layer cake, tres leches cake, a hot milk sponge cake, etc. Notice a trend? If you clicked on all of the recipes, they all had strawberries on top! She’s a big fan, as am I! For those that like the sweet-salty combination, this dessert is for you. 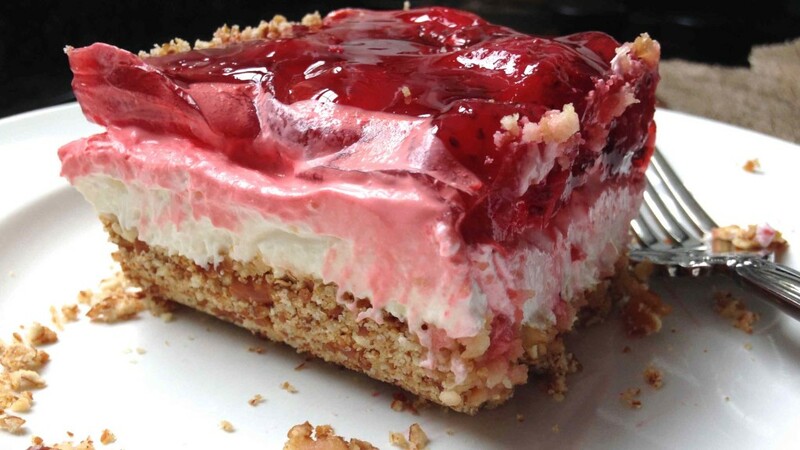 It’s got a slightly salty crust from the pretzels, a cool, creamy cool whip and cream cheese center, and a light and refreshing topping with strawberry Jell-O and fresh strawberries. Yum! Matt is actually not a pretzel fan (he actually doesn’t like ANY crust to any dessert…pies, you name it), so he doesn’t eat the pretzel bottom of this dessert. One time I made it for him and substituted crushed graham crackers for the pretzels. It was still a good combination, but it of course was not as salty, and the graham cracker crust got slightly more soggy as it sat in the fridge as compared to the pretzel crust. My mom had a great birthday and as you can guess, as not much is left of this dessert (or salad, if you wish to call it). Enjoy! FOR THE CRUST: Mix butter, pretzels, and 3 tablespoons of sugar. Press the mixture into the bottom of a 9 x 13-inch pan. Bake for 7-10 minutes. Cool. FOR THE CREAM LAYER: Mix the cream cheese, 1 cup of sugar, and whipped topping. Spread over the cooled pretzel layer. 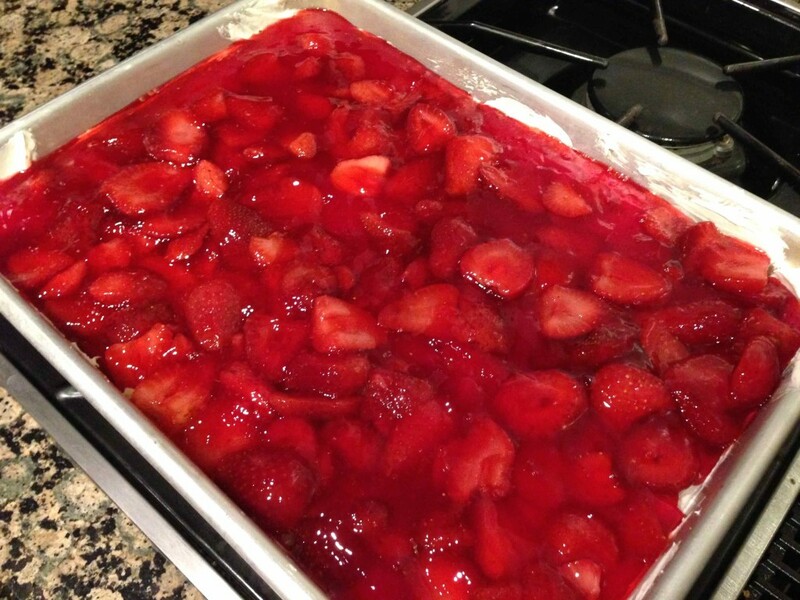 FOR THE STRAWBERRY LAYER: Dissolve gelatin in boiling water. Add strawberries and stir until partially thickened. Pour over whipped topping layer.